China's 'Going Out' policy is undergoing a major upgrade. Devised at the turn of the century, the policy encouraged Chinese enterprises, backed by the country's foreign-exchange reserves, to acquire assets and expand business overseas. This initiative facilitated Chinese companies' expansion around the globe, but their acquisitions have often been marred by vast inefficiencies and corruption. Now, President Xi Jinping and Premier Li Keqiang are revamping this strategy, shifting from reckless expansion toward a more focused approach around exporting Chinese equipment and higher value goods and services. Over the past decade, Chinese companies 'Going Out' have fixated around acquisitions of natural resource assets by state-owned enterprises (SOEs) such as CNPC, Sinopec, CNOOC and Chinalco, while the majority of Chinese exports remained underwhelming in quality and significance. During last year's "Two Sessions" press conference, Premier Li expressed a need for change: "We cannot just export toys, apparel or shoes . . . We also need to export Chinese equipment to . . . raise its competitiveness as they are tested on the international market." Industrial upgrade has been one of the Xi administration's top priorities, and the new China 'Going Out' plays a major role in this transition toward higher value manufacturing and technology. Exporting high value added products like high-speed railways promotes China's image abroad and showcases its newfound competitiveness. In addition, contracting massive infrastructure projects to export materials such as steel and cement would help relieve the mounting challenge of overcapacity in these industries. The specific sectors of this new 'Going Out' model were identified in Premier Li's Government Work Report this month, where he proposed to: "increase the international market share of Chinese railway, electric power, communications, engineering machinery, automobile, aircraft, electronics, and other equipment, and encourage the metallurgical, building materials, and other industries to invest overseas." 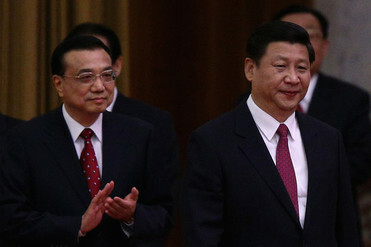 President Xi Jinping (right) and Premier Li Keqiang, the two Chinese leaders spearheading the country's foreign investment policies. To achieve these goals, China will need its SOEs to become more strategic, competitive, and efficient. 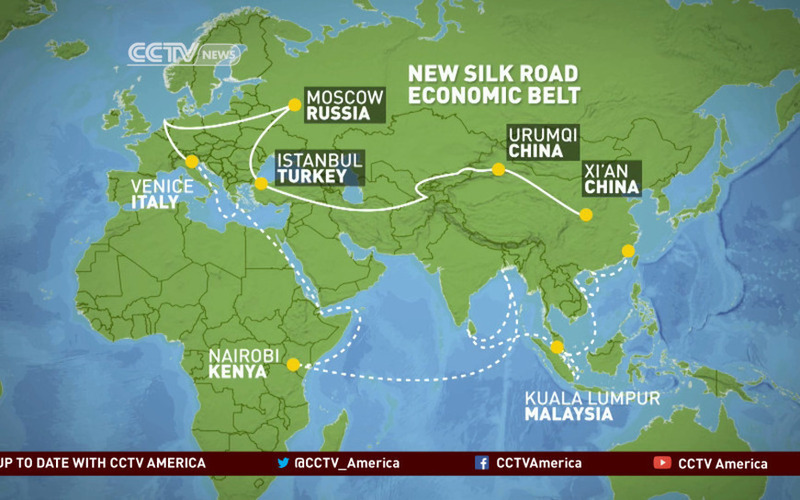 The capstone of Xi and Li's new 'Going Out' policy is the 'One Belt One Road' strategy, an ambitious plan to revitalize the ancient Silk Road trading routes to Europe. Chinese SOEs play the crucial role of constructing infrastructure along the two planned routes, one by land through Central Asia and the Middle East, and another by sea through Southeast Asia, South Asia, and East Africa. An extensive financial support structure has been drafted, consisting of the 50bn USD Silk Road Fund Corp and the multilateral Asian Infrastructure Investment Bank with an proposed initial capital of 100bn USD. If they were to be successful, however, these institutions must not only champion SOEs, but also enable the private sector to 'Go Out' through dynamic public-private partnerships. To create globally competitive national champions, The Xi administration has also been consolidating centrally owned SOEs: The two high-speed rail manufacturers, China North Car and China South Car, announced a massive 26bn USD merger last December, while two months later, nuclear power SOEs China Power Investment Corp and State Nuclear Power Technology Corp announced another large merger. Expect this trend to continue in industries primed for going out. Finally, China's leaders have aimed to root out inefficiencies about outbound investments. SOE regulators amended the evaluation mechanism for central SOE managers in 2013 to emphasize return on assets and value generation over expansion in size or revenue. Meanwhile, the ongoing anti-corruption campaign hit major 'Going Out' players in oil, mining, and rail, forcing mid-level managers to abandon prevalent corrupt practices in overseas projects. Beijing recently announced a plan to externally audit of all overseas assets belonging to central SOEs. Despite these audacious reforms, Chinese SOEs still face significant challenges abroad. First, while reformers have tried to increase SOE efficiency by emphasizing economic goals, Xi Jinping gave his 'Going Out' champions the political objective of westward expansion along the 'One Belt One Road.' SOE managers may have to juggle between this contradiction, striving for efficiency on one hand and pressured to take on less profitable but strategically important contracts on the other. Also, Chinese SOEs face rising political risk as they venture into more unstable regions along the 'One Belt One Road.' 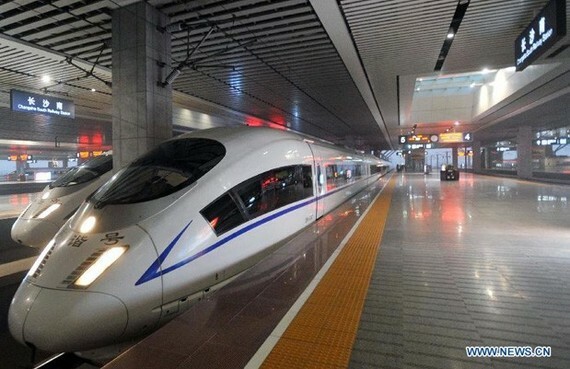 The debacles of China Railway Construction Corp and China Communications Construction Corp, respectively in Mexico and Sri Lanka, show that SOEs are ill prepared to manage those risks. 'Going Out' 2.0 will create stronger and more competitive Chinese SOEs, expanding into sectors traditionally dominated by Western firms, and exerting influence in regions that will raise new geopolitical challenges. Investments and products from the Chinese economy will only become more consequential globally, making it crucial to grasp and engage with this change. Ben Yunmo Wang is a researcher at Eurasia Group's Asia Practice and a recent graduate of Tufts University. He can be reached at wang@eurasiagroup.net.